FFmpeg allows you to run your own video sharing website, just like YouTube! Upload video in almost any format and it can be converted on the server side to .mp4 or other popular formats. Easily share video, music, and pictures that have been optimized for the best possible viewing experience over the Internet. FFmpeg not available on unlimited hosting plans. All other plans have FFmpeg included. Create your very own Internet Radio station using our SHOUTcast server which includes a complete website, domain and hosting bundle. Your SHOUTcast hosting account comes with all of the tools you will need to build your website, PLUS your very own SHOUTcast Admin Pro control panel and cPanel. Podcast with ease using Podcast Generator. This free app allows you to upload media files (audio/video) to a fully customizable web site. It will then automatically create a podcast w3c-compliant feed including iTunes specific tags. Available on all hosting plans from GlowHost. GlowHost offers FFmpeg hosting support for your video sharing applications. What is FFmpeg? Lets imagine you have a site that allows users to upload their multimedia content. Once the audio or video file is on the server, FFmpeg kicks in and converts the files so they can be played back in any browser, just like how YouTube works. You can code your own scripts to use FFmpeg, or use any of the most popular pre-built FFmpeg apps. GlowHost offers high-speed and reliable Podcast hosting support including a pre-built app called Podcast Generator which can be found in your GlowHost control panel. What is Podcasting? Podcasting is the distribution of audio or video content via RSS, Atom feeds, or similar technologies. Your site visitors enable their favorite Podcatcher or email reader to access your web feed, check for updates and download any new files in your series of episodes. Your web hosting account at GlowHost offers Podcast web hosting through usage of the various scripts, blogs and web apps built specifically to serve your podcast content. 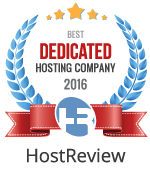 These systems are free on every hosting account at GlowHost. Just one more reason to choose GlowHost.